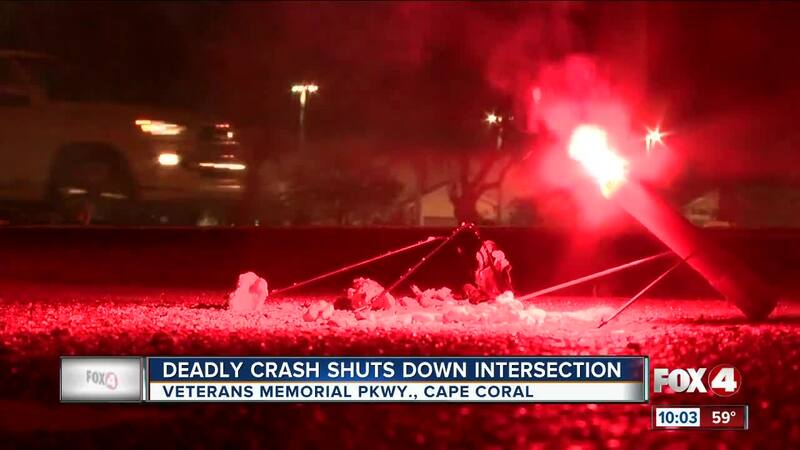 CAPE CORAL, Fla. - One man is dead after a single vehicle crash in Cape Coral Tuesday evening. Cape Coral Police say 48-year-old Bradley Phillips was driving south on Veterans Memorial Parkway, just south of Pine Island Road, when he lost control of his vehicle. They say the vehicle left the roadway twice, hit a tree then flipped over. Phillips was not wearing a seat belt, he was ejected from the vehicle. He died on scene.